Landing a new job is definitely something to be excited about, however, if you have kiddos this could lead to scheduling and financial problems. According to Care.com, the average family pays $844 a month in childcare expenses! In this article, we will introduce you to the Workforce Solutions Child Care Assistance Program. Not only will the Workforce help you find employment, but they can also help you with the cost of daycare. 1 What Is The Workforce Solutions Child Care Assistance Program? 2 What Are The Requirements To Apply For The Workforce Child Care Assistance Program? 3 Is There A Waitlist For Child Care Assistance? 4 How To Apply For Workforce Child Care Assistance? What Is The Workforce Solutions Child Care Assistance Program? 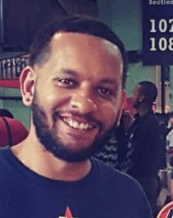 Workforce is a local Houston staffing agency that helps to connect qualified workers with employment opportunities. What Are The Requirements To Apply For The Workforce Child Care Assistance Program? We’ll explain more about each requirement below. 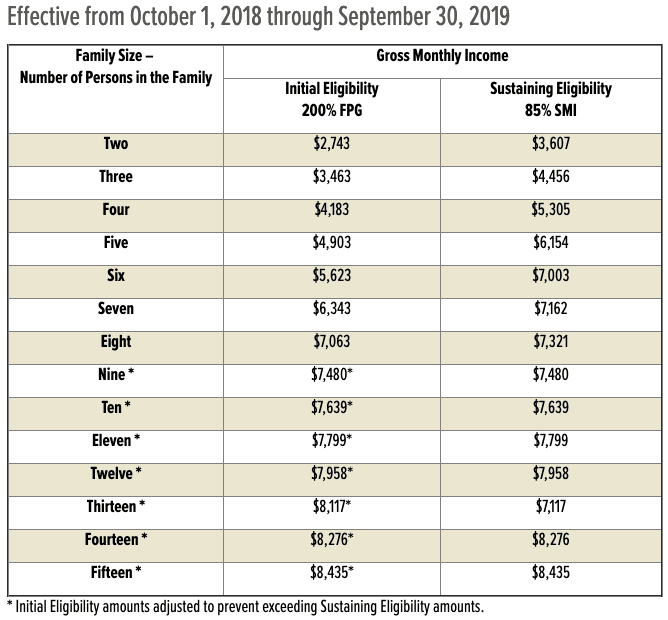 The chart below details the income requirements to receive assistance from this program. Is There A Waitlist For Child Care Assistance? At the time of writing this guide (March 18th), there is a wait of 4 – 6 months. Despite this timeframe, sign up anyway because there have been even longer waiting times in the past. In June 2018 the wait was at least 12 months. How To Apply For Workforce Child Care Assistance? You have two options to apply for child care assistance. Print the application below, complete it and fax, email or hand deliver it to the closest Workforce in your area. You can visit any of the following Workforce Solutions locations below to apply for child care assistance. This Workforce site is located in the area of the Astrodome. The closest major intersection is Stella Link and 610. The address is 9315 Stella Link Rd, Houston, TX 77025.
Business hours are 8 am to 5 pm Monday through Friday. For more information visit their website or call the office at 713.661.3220. This location is in Baytown. The closest major intersection is West Baker and Garth Road. The address is 4308 – B- Garth Rd, Baytown, TX 77521. For more information visit their website or call them at 281.837.0079. This office is located in Bay City. The address is 3501 Avenue F, Bay City, TX 774414. For more information visit their website or call them at 979.245.4808. The office is located in the city of Conroe. The address is 2018 Interstate 45 N, Conroe, TX 77301. For more information visit their website or call them at 936.441.0037. This location is located on 1960. The closest major intersection is 1960 and I – 45. The address is 70A Farm to Market 1960 Rd W, Houston, TX 77073. For more information call them at 281.891.2850. This Workforce Office is located in the Covenant House shelter. The address is 1111 Lovett Blvd, Houston, TX 77006. For more information visit their website or call them at 713.523.2231. This Workforce Office is located in Cuney Homes. The address is 3260 Truxillo St, Houston, TX 77004.
Business hours are 8 am to 12 noon Monday through Wednesday. For more information visit their website or call them at 713.741.7590. This office is located in Houston’s East End neighborhood. You can ride Metro Green Line to this location. The address is 5104 Harrisburg Blvd, Houston, TX 77011. For more information visit their website or call them at 713.228.8848. This location is housed at the Central Library in downtown Houston. The address is 500 McKinney Houston, TX 77002.
Business hours are Monday through Tuesday from 2 pm to 4 pm and Wednesday through Thursday from 10 am to 12 noon. For more information visit their website or call them at 832.393.1313. This location is located in Humble across from Deerbrook Mall. The closest major intersection is 1960 and 59. For more information visit their website or call them at 281.446.4837. This office is in the city of Huntsville. The address is 901 Normal Park Dr, #7, Huntsville, TX 77320. For more information visit their website or call them at 936.291.3336. This Workforce office is located at Katy Mills Mall. The address is 5000 Katy Mills Circle, Ste 659, Katy, TX 77494.
Business hours are 8 am to 5 pm. For more information call them at 281.644.1030. This location is in Lake Jackson. The address is 491 This Way, Lake Jackson, TX 77566.
Business hours are 8 am to 5 pm Monday through Fridays. For more information visit their website or call them at 979.297.6400. This office is located in the River Oaks neighborhood. The closest major intersection is West Gray and Montrose Blvd. The address is 1475 West Gray St, Houston, TX 77019.
Business hours are 9 am to 12 pm on Wednesdays. For more information visit their website or call them at 832.394.0814. This location is located in NE Houston. The closest major intersection is Tidwell and Hirsch Rd. The address is 4217 Tidwell Rd, Houston, TX 77093. For more information call them at 713.697.3437. This location is at Northline Mall. The closest major intersection is Crosstimbers and 45. The address is 4424 North Freeway, Houston, TX 77022. For more information contact them at 713.692.7755. This location is in the North Shore neighborhood, located across from the Harris County Courthouse. The closest major intersection is Wallisville and Uvalde. The address is 14355 Wallisville Rd, Houston, TX 77049. For more information contact them via their website or call them at 281.458.1155. This location is in the Spring Branch neighborhood. The closest major intersection is Long Poing and Bingle. The address is 8835 Long Point Rd, Houston, TX 77075.
Business hours are Tuesday and Friday from 1 pm to 4 pm. For more information visit their website or call them at 832.393.2000. This office is located in the Greenway Plaza neighborhood. The closest major intersection is Buffalo Speedway and W. Alabama. The address is 3355 West Alabama St #350, Houston, TX 77098. For more information call them at 713.688.6890. The Sealy WFS office is located in the city of Sealy. The address is 3701 Outlet Mall Dr. #140, Sealy, TX 77474.
Business hours are 8 am to 5 pm, Monday through Friday. For more information call them at 979.627.0241. This location is in the parking lot of Almeda Mall. The address is 12148 B Gulf Fwy, Houston, TX 77075. For more information visit their website or call them at 713.576.2580. The Southwest office is located in SW Houston. The closest major intersection is Bissonnet and S. Dairy Ashford. The address is 12710 Bissonnet St, Houston, TX 77099. For more information call them at 281.564.2660. This office is located at the Star of Hope Men’s Shelter. This shelter is situated 3 blocks north of Minute Maid Park in downtown Houston. The address is 1811 Ruiz Street, Houston, TX 77002.
Business hours are from 1 pm to 5 pm on Wednesdays. For more information visit the website or call them at 713.227.8900. The Workforce location is housed at the Star of Hope Family Shelter. The closest major intersection is Reed Rd and 288. The address is 2527 Reed Rd, Houston, TX 77051.
Business hours are 8 am to 5 pm Tuesday and Thursdays. For more information visit the website or call them at 713.222.2220. This office is in Texas City. The closest major intersection is 1764 and 146. The address 3549 Palmer Hwy, Texas City, TX 77590. For more information call them at 409.949.9055. This office is located at the Men’s Salvation Army shelter. This Workforce location is located in the Near Northside neighborhood. The address is 2407 Main Street, Houston, TX 77009. For more information visit their website or call them at 713.224.2875. This location is in the Briar Meadow neighborhood. The closest major intersection is Westheimer and Hilcroft. The address is 8373 Westheimer Rd, Houston, TX 77063. For more information visit their website or call them at 713.953.9211. The Waller Workforce office is in the city of Hempstead. The address is 640 10th St, Hempstead, TX 77484. For more information visit their website or call them at 979.826.0653. The Willowbrook location is located at Willowbrook Mall. The address is 17517 TX – 249, Houston, TX 77064. For more information call them at 281.807.9462. Child care is unaffordable for nearly 7 out of 10 families, but there are places like Workforce Solutions who can help. 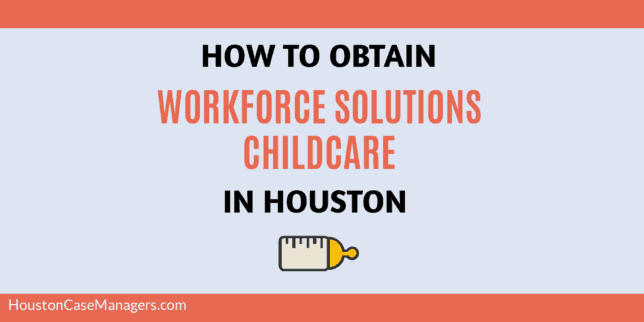 If you have already tried the Workforce and need more options for childcare see our guide called How To Enroll Your Child In A Houston Head Start Program. In this guide you will find head start programs to serve every zip code in the Houston area. For more information about the Child Care Assistance Program visit the Workforce website or call your nearby office or the main helpline at 1.888.469.5627.